Water soluble fertilizer is designed to treat your entire landscape, providing vigorous growth, excellent color and disease and insect resistance. Each fertilizer provides nutrients for different plants. 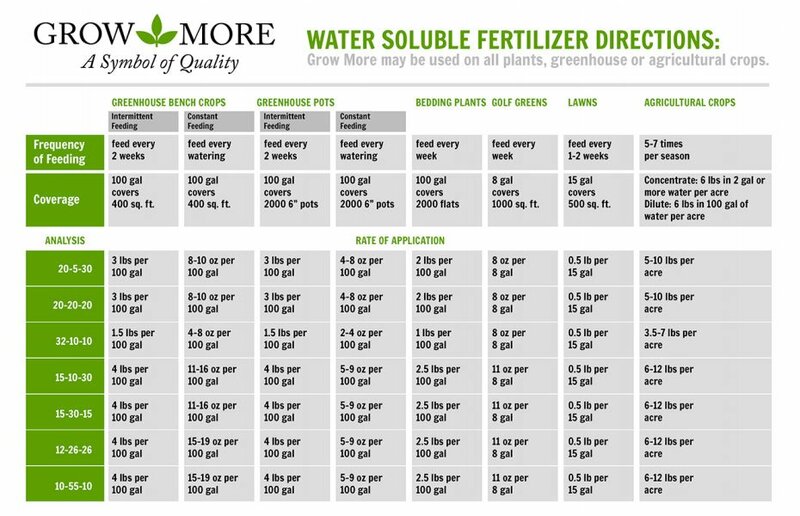 Sprinkler Warehouse carries a variety of fertilizer from trusted name brands such as Grow More and EZ Flo.